Is Stress Hurting You? | Bartell & Bartell, Ltd.
http://bit.ly/MurX0O. 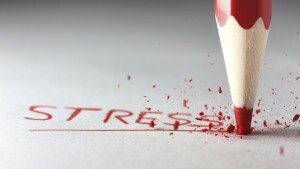 This article from Dr. Prasad of HealthcareMagic.com provides some top tips for reducing stress at work. It’s obvious the workplace can be stressful. According to the American Psychological Association, 30 percent of employees reported that they are under constant stress at work – and there are probably many more who experience constant stress during big projects as well. Constant stress is unhealthy stress – the kind that can reduce efficiency, harm relationships and cause serious health concerns. It’s important to manage stress, to avoid these unhealthy effects and encourage more healthy output. However, stress can also be a healthy motivator. It pushes you to meet deadlines, and can exercise problem solving and creativity. Almost all of us have experienced “deadline rush” which helped get a project done on time. The question is: how do you know when you are under too much stress? And for leaders, how do you know if your employees are under too much stress? We’d like to hear from you – what are some current strategies you use to reduce your stress at work, and how do you know if it’s actually hurting your productivity?